Update: iOS 7.1 Beta 4 has been released! Check out this link for details. We have all been craving for Apple’s iOS 7.1 release in the hopes that it might cure the iOS 7 crash issues been faced on iPads. Seems like iOS 7.1 is well on its way. According to the latest news, Apple is ready to seed iOS 7.1 Beta 4 to developers tomorrow on 21st January. Another couple of weeks, another iOS 7.1 build. Like we previously reported, iOS 7.1 is going through a long testing period with a tentative public release set for March. There are also about six planned builds to be released for testing, and the latest, iOS 7.1 beta 4 (build 11D5127c), should be released to developers soon as it is already in the hands of Apple’s testing partners. 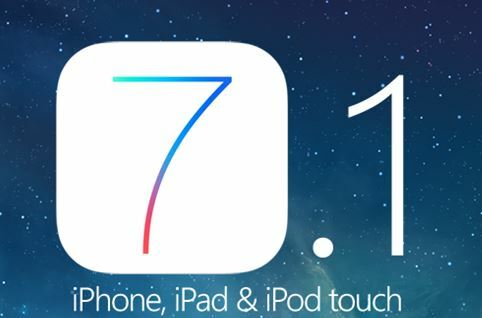 Apple’s last iOS 7.1 beta was released to developers on January 7th. We are told there are various fixes in this latest version, including fixing keyboard issues, problems with the contacts app, more changes to the phone UI, and other changes. We have heard from sources that with iOS 7.1, Apple is working very hard to address some large memory bugs and other issues in iOS 7 that have caused crashes and restarts for a lot of people. Additionally, iOS 7.1 should help unify iOS 7 better graphically, with various user interface updates across the entire system and in apps for a more cohesive feel. Let’s see if iOS 7.1 beta 4 patches the security exploits used by evasi0n7. We though believe that Apple would release its security patches with the iOS 7.1 release and not give jailbreakers an extra month to prep for the upcoming release.